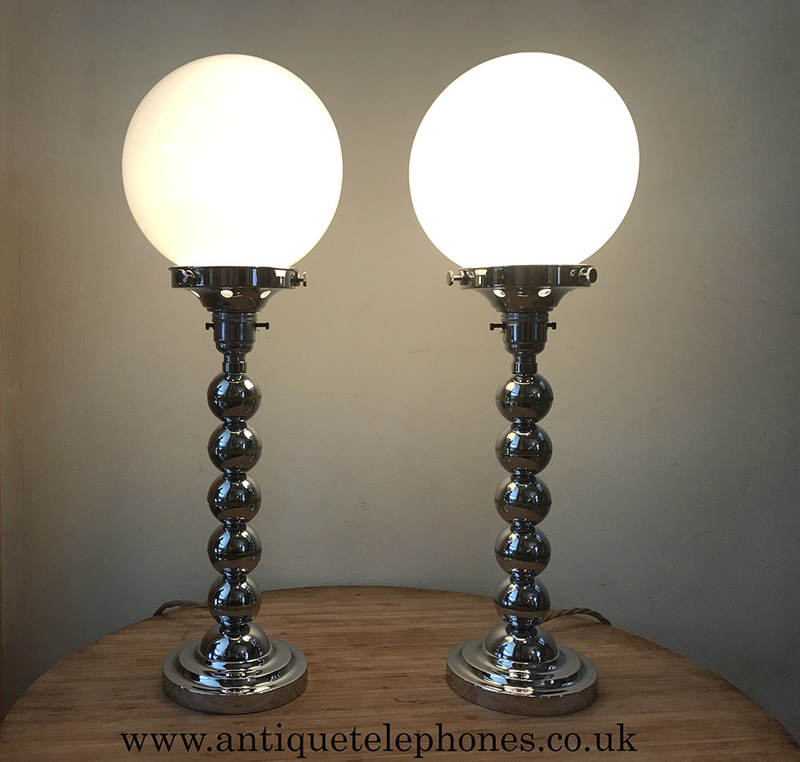 Pair of Art Deco chrome and green phenolic resin lamps. | Green and chrome table lamps. 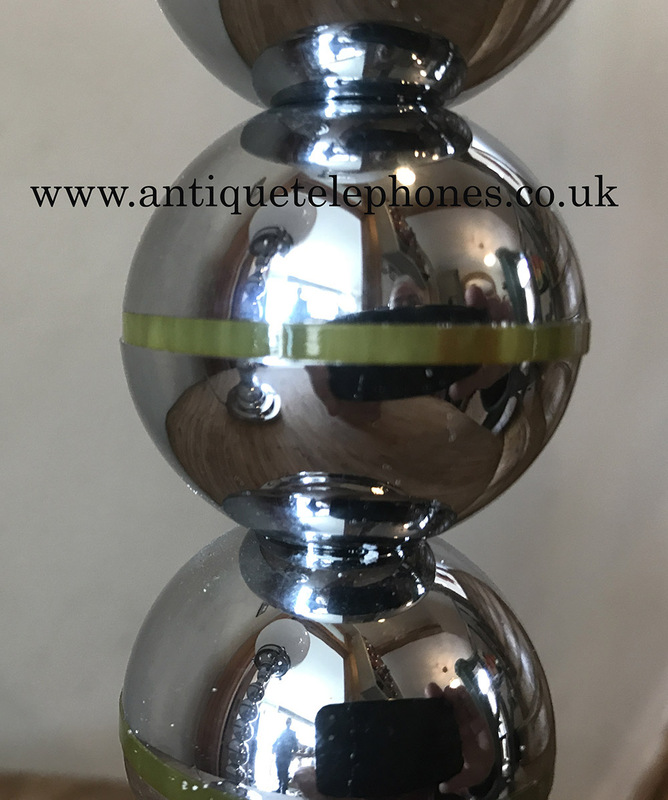 << Back Pair of Art Deco chrome and green phenolic resin lamps. 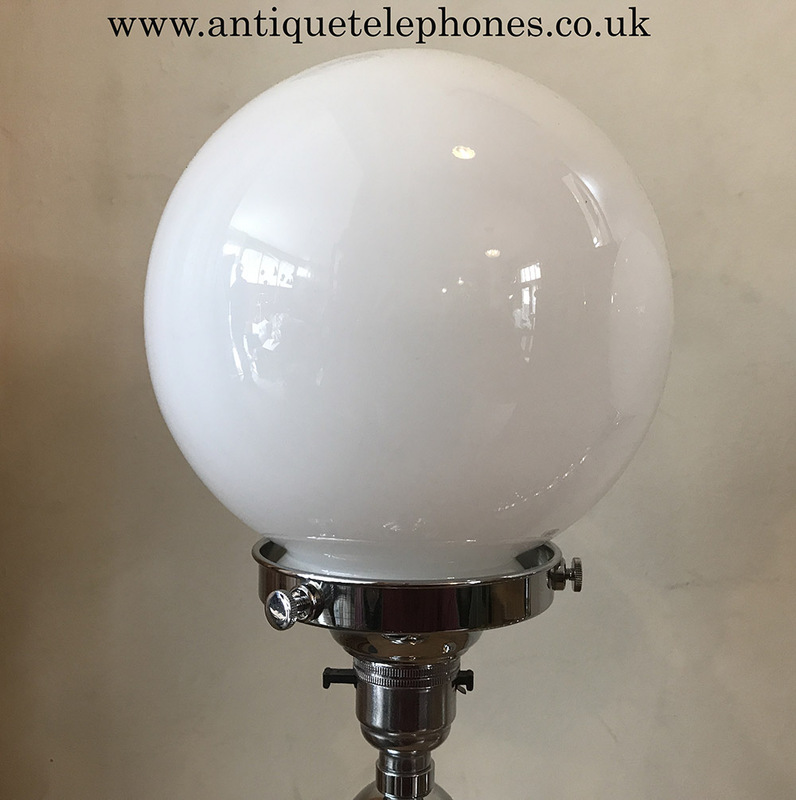 Pair of Art Deco chrome and green phenolic resin lamps. 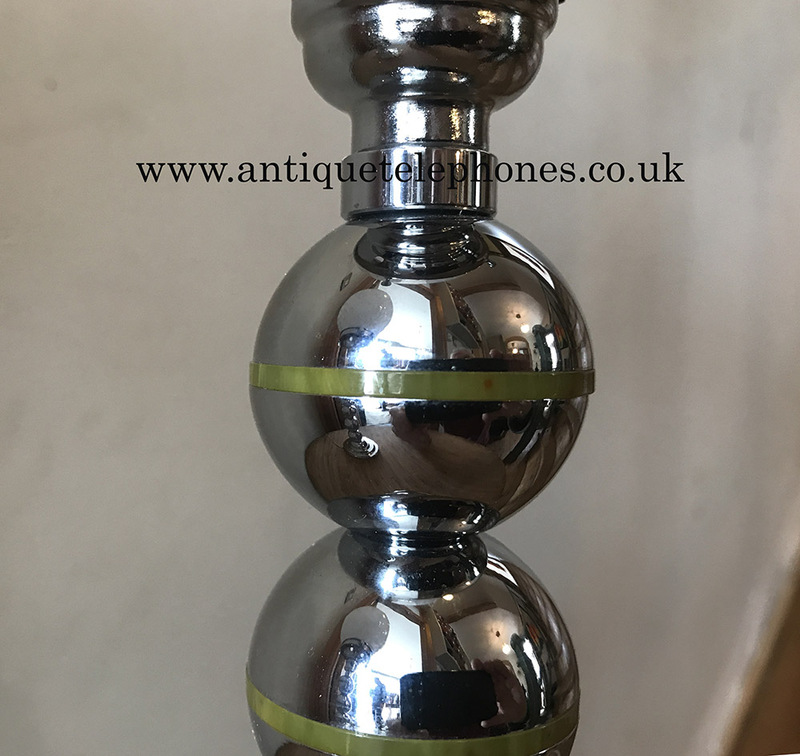 This is a beautiful unusual Art Deco Green and chrome table lamps. 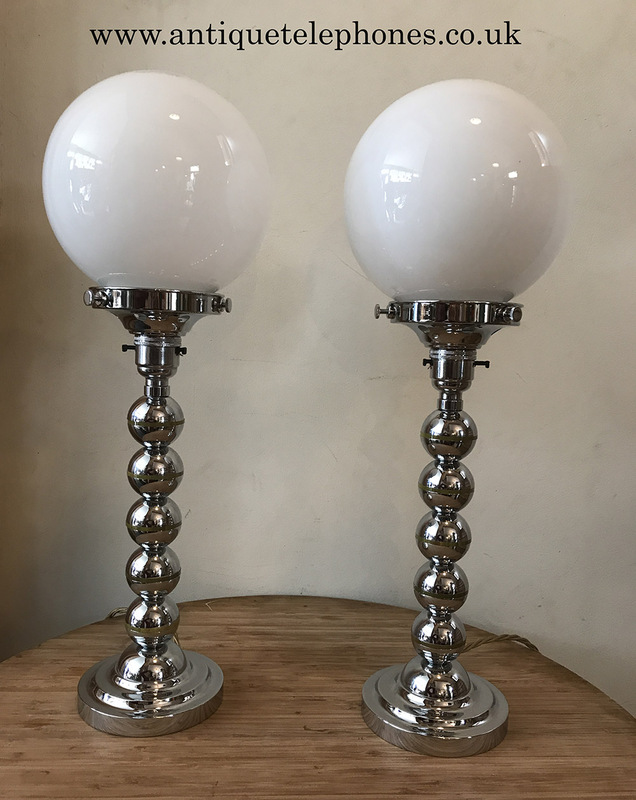 Height: 16”; Base width: 4”; Shade width: 5"
Fabulous Art Deco green and chrome table lamps with ball glass shades.They have been restored by a craftsman who has been dealing in classic lamps from the 1930’s for over 30 years. His stock has been collected over his 30 years of dealing. 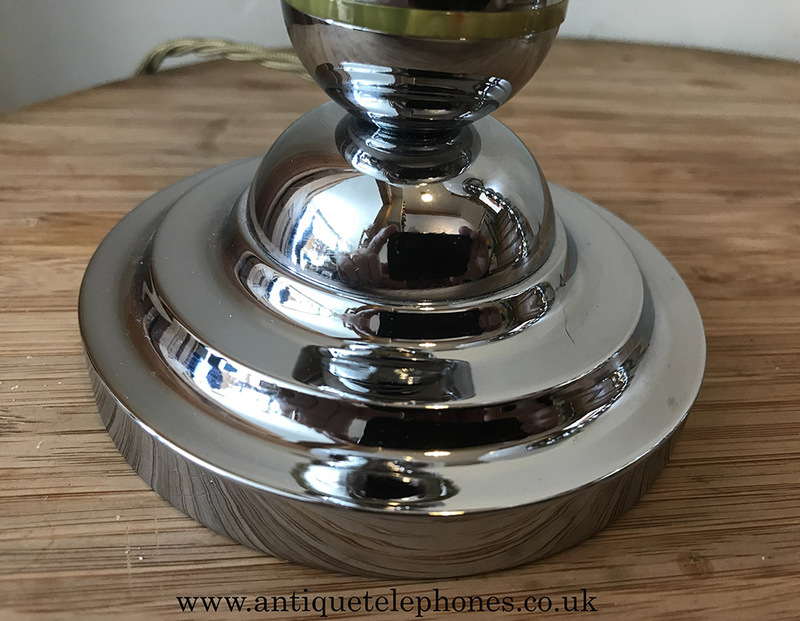 They have been stripped and inspected before either polishing or chroming. 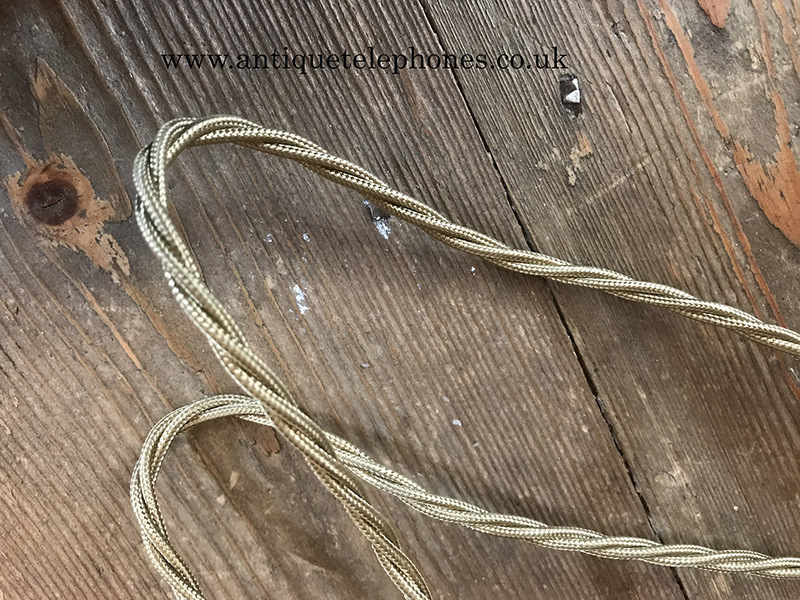 Where necessary and if unobtainable some parts have been re-manufactured or replaced to a very high standard by skilled artisans.